I've searched and tried a lot of stuff but still can't get it to work. 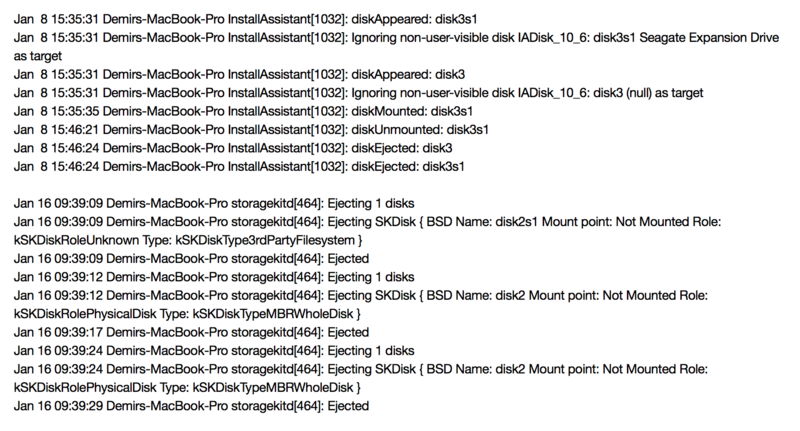 From disk utility clicking on mount & first aid. From terminal writing: diskutil repairDisk disk2s1 & diskutil repairVolume disk2s1. Restarted mac in normal mode & safe mode. /private/var/log/install.log from here found some logs but don't know what to do with them. Switch USB ports & retry. I'd recommend checking if fsck is holding your disk hostage upon connection. This was it for me. So the solution was a sudo kill -9 2587 (insert your PID instead of 2587) (or sudo pkill -f fsck). As soon as that ran, my Volume immediately mounted. Addendum (surfacing from comments): Ideally, you're better off letting fsck run its course. Otherwise, you'll run into this the next time too. I had a similar issue. The external drive did not show in finder. I tried booting into Single User mode and ran all the fsck commands with no success. The drive was detected but when it is plugged in fsck starts to execute and it seems to run indefinitely. In my case it looped around the Could not repair after 3 attempts" error but then it just restarted the tests again. I was not able to kill the fsck process either, it just kept going. Finally I downloaded the free version of DiskDrill and clicked on the Rebuild button. When doing that, Diskdrill showed me drive content. However I could not select mount in the Free version and could not pay 89$ for recovering a non-important drive worth 30$. However, I found it interesting that DiskDrill could see content and offered me to mount the drive so I wondered if it had done something good. So I went back to Disk Utility that previously did not allow me to Mount the broken drive and tried to Mount again and now it worked. I think DiskDrill unblocked something. After mounting, I was able to format the drive successfully. I tried all other options I could find, using command line, disk utility etc and this was the only thing that unblocked the situation. So it seems tools like Disk Drill etc can accomplish more than what Mac OS offers and it might be worth looking into if you have this issue. In my case I managed to work around it with the free version in combination with DiskUtility but if you need to recover files you probably need the full version (I could see the drive content but since I did not care about it, I just formatted the drive). I've tried just about everything on every forum I read short of formatting my hard drive. I was able to save my data by plugging my hard drive into an older Macbook not using High Sierra. After the beachball went away after a while I was able to see and drag my folders to another external hard drive one by one. It took a few days because it was a 3T, but I was able to copy everything. Hope this helps! I had a mac-system Volume not showing up in Disk-Util any more. (so my mac didn´t start any more) Somehow i managed to install OSX on a new Hard-Drive and plugged the old one external. Although macOS Sierra should allow you to read NTFS drives natively, have you tried installing MacFuse? This always works for me. This free utility will allow you to mount, read and write to NTFS disks. Your drive is not mounting because the file system is corrupted and it is not seeing it as a valid file system. Most likely, your drive has or is in the process of failing. My suggestion is to use a tool like DiskDrill's free tools to see if there is anything recoverable. If it is and it makes sense to, then you can purchase a license to recover your data. Disk file system corrupted, indeed. If the disk is dying or not good anymore is easy to see with a tool. Download DriveDx from binaryfruit.com (trial) and the recommended satsmart driver. Test the disk. I have solved this issue by moving everything in the hard drive to another computer. Formatting the hard drive and moving everything back. If you're having the same problem Ariel's solution sounds reasonable. Let me know if that works out so I can accept it as the solution. Just a word of caution - this solution involves erasing the drive, so please read the entire article before you take any action with your hard drive! Not the answer you're looking for? 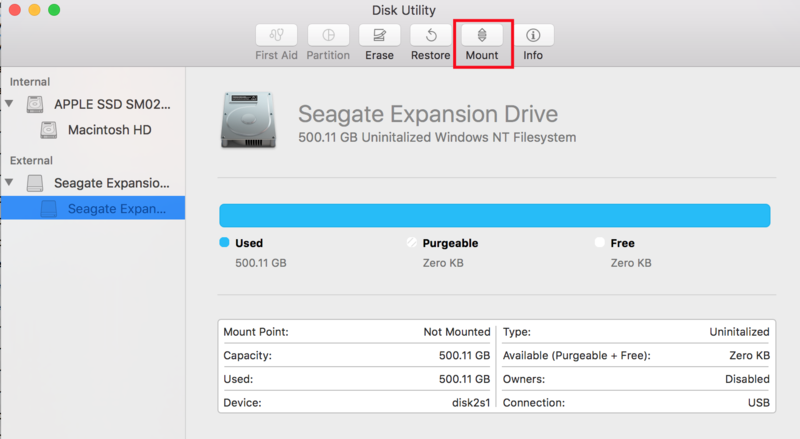 Browse other questions tagged hard-drive disk-utility mount . First Aid Fails on External Disk, what can I do from here?